I think one of the best parts about being an elementary teacher is still using your creativity to mix the fun of the holidays in with important concepts! My fifth graders blush a bit when I tell them it's time to pass out Valentine treats to their classmates. However, I think their love of chocolate and special occasions beats out their embarrassment! I assure them that this is the last time that they will celebrate Valentine's Day at school, so why not live it up! In addition to the sweet notes and tasty treats, it's important to mix in some learning! 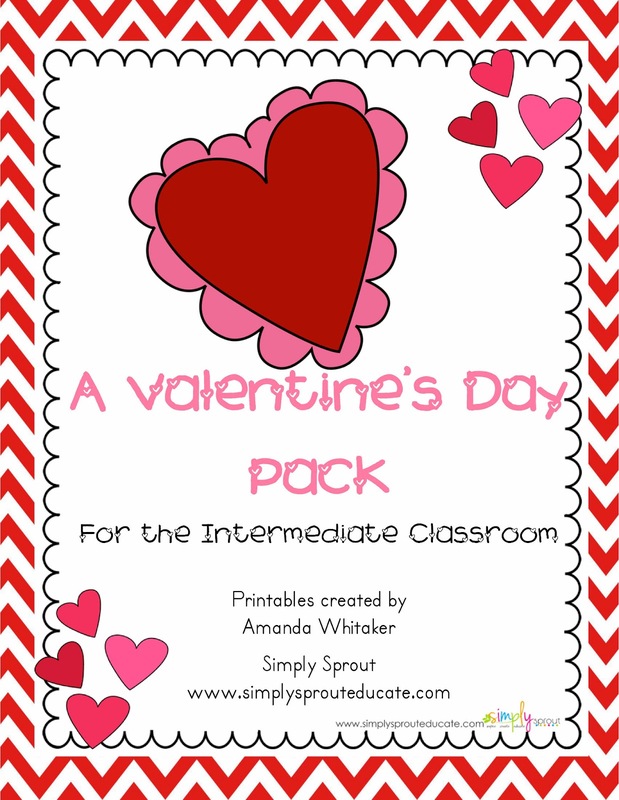 Our Valentine's Day Intermediate Pack in our Simply Sprout store has been assembled with love, and you're sure to win over the hearts of your students when you pass it out. This pack contains creative resources to bring Valentine's Day into your science, math, and writing lessons. 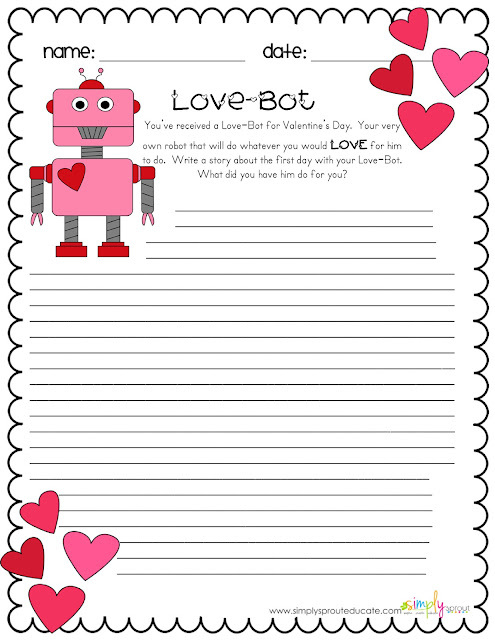 Following common core standards, these printables are a perfect companion to your instruction. Your kids' creativity won't skip a heartbeat with fun writing prompts like this one! 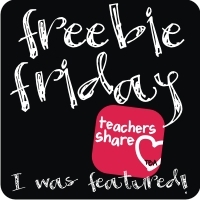 Enjoy this FREEBIE from us!